Homer Simpson is a loveable dummy that has some very stupid moments. But the beloved cartoon character has a list of brilliant life lessons which everyone should live by. Homer Simpson has some pretty hit-and-miss moments on his television show. 'The Simpsons' has been on the air for the last 29 years, and during that time, has produced some pretty epic moments. Homer Simpson may be a lovable dummy but he has some epic life lessons to live by. 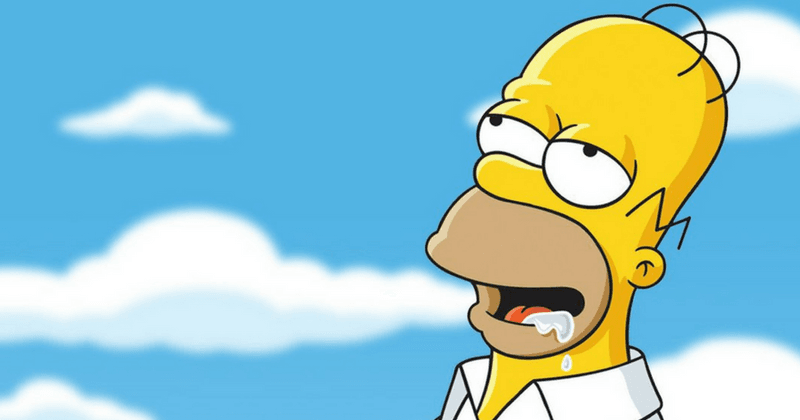 Here are some epic life lessons you should take from Homer Simpson. 1. On fake news: "Aw, people can come up with statistics to prove anything, Kent. Fourteen percent of all people know that." Why it's important: People love making up their own facts just to get the numbers (or results) they want. Don't trust the alternate facts, people! 2. On drinking: "To alcohol! The cause of, and solution to, all of life’s problems." Why it's important: Don't get carried away with the booze, dude! 3. On being a weasel: "Weaseling out of things is important to learn. It’s what separates us from the animals… except for the weasel." Why it's important: Always know how to get out of a tough situation. It's something worth learning! 4. On liars: "It takes two to lie. One to lie and one to listen." Why it's important: Just like it takes two hands to clap, it takes two people to perpetuate a lie. 5. On having a life: "What’s the point of going out? We’re just gonna wind up back here anyway." Why it's important: There's no harm in staying at home and having a cozy day in. You can drink at home, too! 6. On breaking up: "Step aside everyone! Sensitive love letters are my specialty. 'Dear Baby, Welcome to Dumpsville. Population: you.'" Why it's important: Sometimes, it's okay to let go of the person you love for your own happiness, even if it sounds downright cruel. 7. On children: "I believe that children are our future. Unless we stop them now." Why it's important: We need to keep tabs on these mini-humans otherwise they tend to grow into weirdoes. 8. On patience: "Forty seconds? But I want it now!" Why it's important: Patience is not always the key to success. Know when to put the right kind of pressure! 9. On anger: "Yes, honey...Just squeeze your rage up into a bitter little ball and release it at an appropriate time, like that day I hit the referee with the whiskey bottle." Why it's important: It's never a good thing to hold on to your frustrations. Let go and go past them! 10. On talking to God: "Lord help me, I'm just not that bright." Why it's important: It's good to remind ourselves of our idiocy from time-to-time and ask God for his patient guidance. 11. On agreeing with people: "Marge, I agree with you… in theory. In theory, communism works… in theory." Why it's important: People aren't always right and you don't always have to agree with them! 12. On caring: "Just because I don’t care doesn’t mean I don’t understand." Why it's important: You may get frazzled with someone's problems but that doesn't mean you shouldn't empathize. 13. On chasing dreams: "All my life I've had one dream, to achieve my many goals." Why it's important: Don't be shy about having multiple goals that you still haven't achieved. 14. On sexual assault: "Remember that postcard Grandpa sent us from Florida of that Alligator biting that woman's bottom? That's right, we all thought it was hilarious. But, it turns out we were wrong. That alligator was sexually harassing that woman." Why it's important: Consent. Consent is important. 15. On manners: "Maybe, just once, someone will call me 'Sir' without adding, 'You're making a scene'"
Why it's so important: Don't get too carried away in your anger. Stay calm! 16. On drugs: "Fame was like a drug. But what was even more like a drug were the drugs."